Circa 1840. 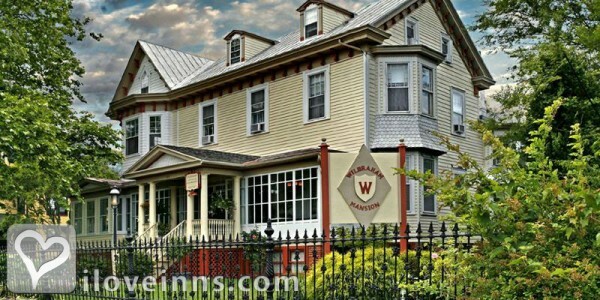 Overlooking Wilbraham Park, this historic mansion features a grand elegance with relaxed comfort. Period reproduction wallpapers and antiques accent the Victorian interior, including some pieces that belonged to the original owners. 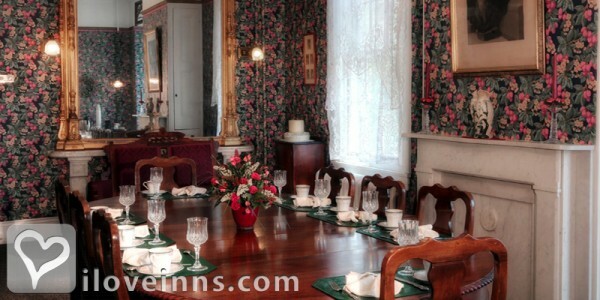 Gather for a chat over afternoon tea in one of the parlors or watch a movie in the TV Room. A guest refrigerator is provided on the second floor. Two dining rooms enhance a leisurely breakfast. A glassed-in front porch is lined with wicker furniture and an open porch is behind the heated indoor swimming pool. 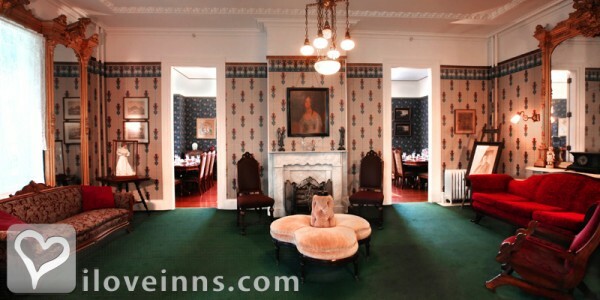 This bed and breakfast inn is perfect for business meetings or special events. 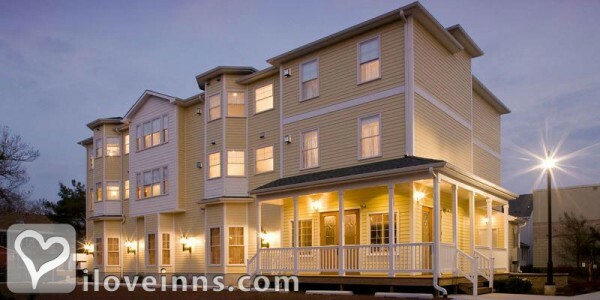 A variety of packages are offered.Publicity and Awards: New York Times.Location: Ocean Community. 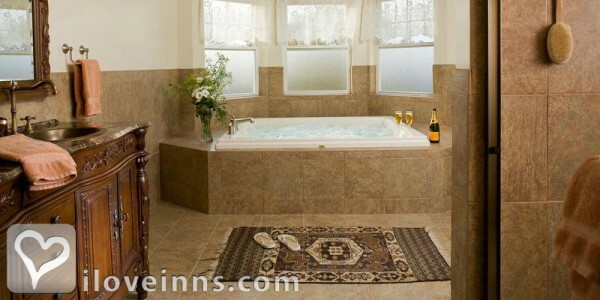 Rooms: This property has 22 total guest accommodations with private bath, 12 with fireplaces, 13 with whirlpools, 13 suites. Types of meals: Full Breakfast and Afternoon Tea. 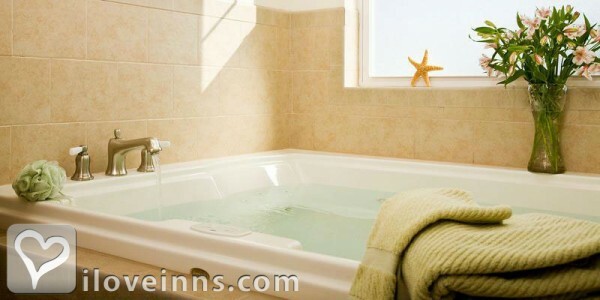 Amenities In Room: Wireless Internet Access, Hair Dryer, Bath Amenities, Cable TV, Fireplace, Iron/Ironing Board, DVD, Television, Refrigerator and Air Conditioning. 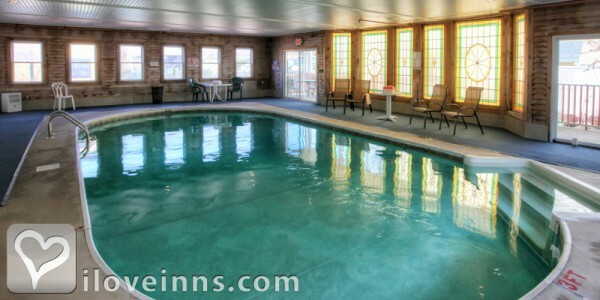 Amenities On Site: Swimming, Pool, Bicycles, Free parking on premise, Fax and indoor heated pool (20'x40'). Events Hosted: Weddings, Meetings, Romantic Getaways, Honeymoons, Family Reunions and Seminars. Other Activities: Parks, Fishing, Canoeing/Kayaking, Birdwatching, Bicycling, Beaches, Antiquing, Shopping (Local Crafts), Water Sports and Wineries.